End of our financial year. End of the tax year. So, the coming Weds and Thursday we'll be shut, then followed by good Friday and Easter Monday! So, pre-warning, if your thinking of buying anything please buy it sooner rather than later. So, we will be shut..
Monday 9th - Easter Monday. Normal service will resume Tuesday 10th, however being shut for that long and judging by how busy we have been lately (busiest we've ever been) then I'm fairly sure there will be a bit of a backlog. So, last time to get your orders in is 12pm Tuesday the 3rd of April for delivery before Easter. Obviously if we get the stock take done on the Wednesday we will post out Thursday, it just depends how far we get through the stocktake. This entry was posted in News, workshop on 29/03/2012 by Brickwerks. Front outer CV Joint seal for syncro models. This entry was posted in New products on 27/03/2012 by Brickwerks. Left Hand drive only i'm afraid. The complete cable from the dashboard to the Diesel pump. We've had the Petrol ones for a while, but the Diesel ones have been hard to track down. The Diesel parts are approx 10mm taller than the petrol variant! This entry was posted in New products on 15/03/2012 by Brickwerks. Usually seen on American market (Vanagon) models, these mirror glasses have the warning etched on the glass. This entry was posted in Uncategorized on 12/03/2012 by Brickwerks. 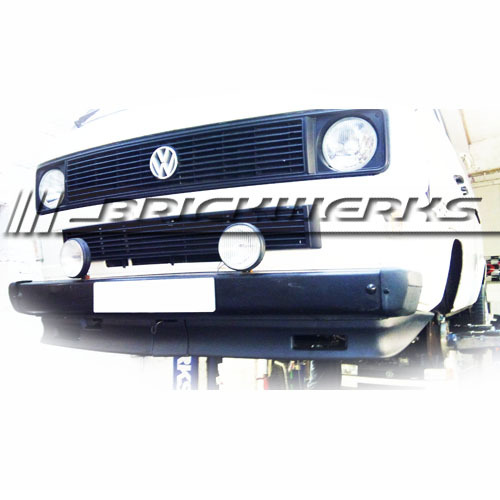 Some Westfalia models - usually fitted with steel bumpers came with an alternative 3 piece spoiler to the more common 5 piece (which is no longer available).